Summer is nearly here! As parents, we all worry that much of the learning that has taken place over the last year will somehow dwindle during the long, lazy summer days. Aside from creating meaningful hands-on learning experiences for your child, you can also encourage a child to keep up their skills using technology during down time! I’ve compiled a list of my top 10 Reading Apps for Kids, broken down into four sections: Phonics and Decoding, Comprehension, Sight Words, and Readable Books. Most of these apps are appropriate for beginning readers (or those learning how to read), but a few are still applicable for proficient readers as well (especially the apps focusing on comprehension). Okay, back to the apps: I have only included apps for Apple products, not because I am intentionally trying to leave Android or Kindle users out in the cold…but simply because they are the only apps that I personally have experience with and therefore the only ones that I feel I can honestly endorse. If you have a Kindle Fire or Android tablet or smart phone, you can always search for the apps listed below for your platform. They are often identical to the Apple versions. I am sorry in advance for any inconvenience this may cause you. This post is not sponsored in any way (although it does include my affiliate links). I bought each app with my own money and all opinions are based on my personal experience with each app. I have spent many hours (and more money than I typically spend on apps in an entire year) trying to find the best reading apps for young readers. I hope that you find this list to be beneficial to you and your family! I really love this app. It is totally customizable for the age and ability of your child from 3 years only (and letter/sound correspondence) to 5+ years and decoding. On the five-year old section, your child can record his/her voice while decoding a simple 3-letter word. Next, they trace all of the letters in the word as well, which reinforces letter formation. Finally, a child can record him/herself reading a simple sentence! If you buy one app off this list, this should be it! Reading Raven now offers a Volume 2 for those who have mastered their first app. Get it for the iPhone or iPad. This app is great for teaching letter SOUNDS (which is WAY more important than learning their names). It also adds a cognitive component of mini-crossword puzzles as well as consonant blends and digraphs (although they aren’t labeled as such). This app is completely customizable and includes a special section for parents. I was initially hesitant about the crossword component of this app (because I don’t want to confuse a child that he/she could be reading a word up –> down instead of left –> right), but this doesn’t seem to be a problem. Marbleminds Phonics is a relatively simple app that encourages phonics skills while also rewarding the user with marbles for completing the tasks. This app includes a memory game, an onset game (where a child has to choose the sound/letter that goes at the beginning of the picture represented), and a “sounds like” section where a sound is spoken aloud and the child must choose the corresponding letter. I was a little disappointed that this app didn’t include a rhyming component or any word families. Appropriate for children who are already reading, this reading app helps a child develop critical thinking skills and comprehension. It also encourages abstract thinking and inferring, a difficult skill to reinforce at such a young age. Your child must be a relatively proficient reader because he/she has to read the “answers” him/herself. I wish there was an option to have the answers to the questions read by the app itself. It is one of the only apps I have found that focuses on inferring and abstract thinking, so it managed to make it on the list despite its shortcomings. Sequencing, or being able to recall the events of a story in order, is an important component of reading comprehension and cognitive development. This app is a sequencing game, appropriate for Pre-K through 1st grade. Your child will put a series of pictures in order. Once they have been placed in order correctly, your child can then watch a very short animation watching the sequence uninterrupted. This app is also widely used by Speech Pathologists as they work with children who are receiving speech services. The only downfall to this app is that some of the scenarios (like hitting a baseball, for example) require real-world experience to understand the sequence. This app, created in the UK, lets your child create their own story by choosing one of three heroes, story lines, and endings (happy, sad, or funny). Our boys are fascinated with this app and love making different stories with their very own selections. 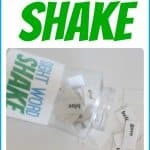 Unlike most sight word apps, this one goes beyond the basic flashcard method and makes learning sight words a little bit more interactive and fun. There are three levels based upon a child’s ability (turtle, chicken, and penguin levels…according to the size of their eggs). A sight word is shown (and said aloud) and the child must then crack the egg with the same word on it (by touching it). Other random words, animals, and objects also fly through the air and will be splatted if you touch them and they aren’t the selected sight word. Not sure you want to purchase this app? Try the free version first. This is basically an electronic version of the beloved classic by Dr. Seuss. There are three variations to this app: Read to Me, Read by Myself, or Auto Play. There is also a voice recording option where your child can read it aloud and record his/her voice (or a parent can record also). There are several other Dr. Seuss books available as apps: Mr. Brown Can Moo Can You?, Yertle the Turtle, and And to Think I Saw it on Mulberry Street. There is also a collection of 5 stories (including The Cat in the Hat, One Fish Two Fish Red Fish Blue Fish, The FOOT Book, Mr. Brown Can Moo! Can You? and Fox In Socks) all in one app for $14.99. BOB books are famously popular with parents of beginning readers. I personally have a love/not-so-much love relationship with the BOB books brand (as I’ve shared before). I think they can be very beneficial for helping children learn to decode, but the illustrations in the paper books are pretty boring. Farfaria is basically like a digital library of books. The app is free to download and you can get a trial that allows you to read 1 book per day for free, but beyond that you will have to subscribe (similar to a service like Netflix but for eBooks). There seems to be a fairly decent amount of books available, although I didn’t see very many familiar book titles. 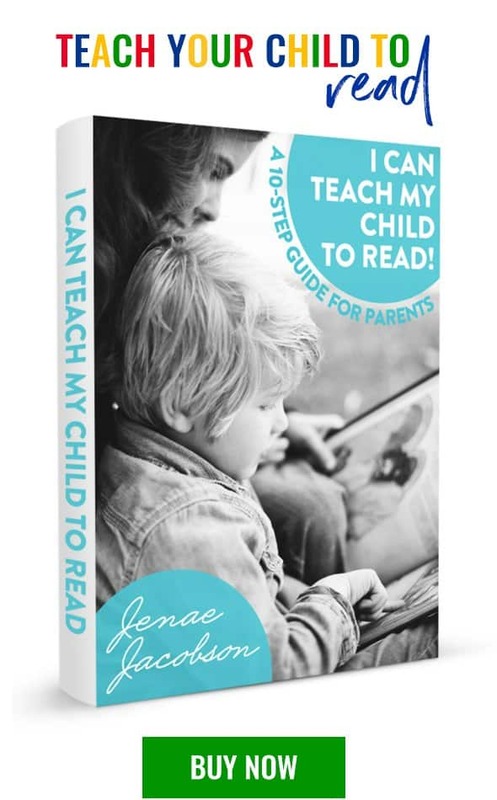 You can also choose books based on your child’s reading level. The app allows the book to be read aloud, auto play, or for your child to read it to him/herself. Reading Rainbow has a similar subscription service, although it is quite a bit more expensive ($9.99 per month as opposed to $3.99 per month). You can receive a significant discount if you prepay for 6 months ($29.99). This service has over 200 books, narrated by the infamous Lamar, with new books being added weekly. Read Me Stories: This FREE app features a new book every day! iDiary for Kids Lite: Although this isn’t technically a “reading” app, reading and writing go hand-in-hand and this is a great diary option for young writers. Be sure and check out my favorite reading apps for preschoolers and toddlers as well! A FINAL WORD: Please remember that iPhones and iPads are just like computers–meaning that you must be vigilant about ensuring your child isn’t exposed to any inappropriate content. SecureMama shares a step-by-step guide for ways to secure your iPhone or iPad. This post was first published May 2013. Updated 2018. It’s clear that you are a Mac person but many of us are not. Please include apps for android next time. Thanks. Thanks for this post, Jenae. We really appreciate you!! I have been wanting to find some great ones. Thanks so much for these! The Land of Me is a great app. Shall check out some of the others – thanks for sharing! I am applying for a grant to purchase ipad minis or another tablet for reading apps. What do you recommend? I am hoping to use them in reading group or center group. Any tips with how to use and how to instruct 1st grade children to use? I teach in public school in underachieving urban environment. Thanks. Please reply to email. Thanks. Some well chosen Apps – I think the best current APP to learn the first 300 words is monster phonics. Great playability, brilliant music and a memorable approach to learning phonics. These apps are good. I have used some of them. But, they are not interactive enough and do not build reading. A fantastic app is from ReadandSpellwell.com. It was made by teachers. It is not fancy. But it teaches word families, rhyming words, then teaches kids to write sentences. This a great list, but I use Homer with my child and it really works! My child has been obsessed with ballerinas and dance lately. I was able to customize a personalized pathway that pulled in dancers and even princesses. It is also reasonably priced and has tons of offline activities to do. I’m also part of the Homer ambassador team and have a two free months coupon I’d love to share: http://learnwithhomer.com/friend7 . Check it out! Thank you for this great article and list of apps to help children read with more success! There are so many who are challenged with reading issues, and the resources you included here will help them. Your readers here might also be interested in a desktop app option for readers needing more focus and attention support. To learn more, please visit http://www.focusandread.com/page/488513590. Thank you again for the helpful blog article here AND for all you do to help children and their families! I guess 2 and 3 are the important apps for kids.